Rae Jean manages SMIF’s Early Childhood strategies working closely with communities, organizations, foundations and other partners. Since joining the Foundation in 1990, she has utilized her knowledge and skills in workforce, business, early childhood and economic development. 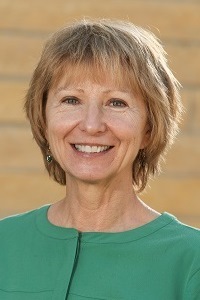 Her work includes regional and state-level work such as the National Academy of Science Transforming the Workforce for Children Birth Through Age 8, Start Early Funders Coalition, Parent Aware Advisory Committee, Minnesota Delegation to Sweden, and the Minnesota P-3 coalition. What is one of the most odd/interesting things you've come across in our region? I found a Cheryl Reeve bobble-head in a thrift store in Lake Crystal. She's the coach of the Minnesota Lynx for those who don't know! What is one of your favorite southern Minnesota festivals/events?